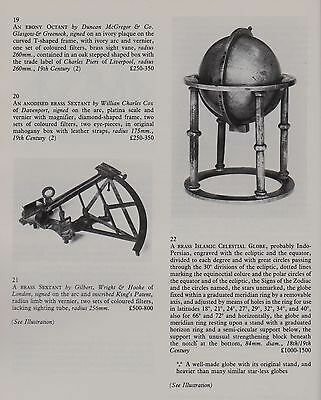 Seller: precious.antiques (39) 100%, Location: MUMBAI, MAHARASHTRA, Ships to: US, Europe, CA, AU, Item: 264202430679 Precious Antiques -An Antique Hand made instrument used to make astronomical measurements, typically of the altitudes of celestial bodies, and in navigation for calculating latitude, before the development of the sextant. Check photos for measurement. Weight :- Around 450gms We Ship Through India Post which Usually takes 10-15 days . Payments are accepted through PAYPAL InternationalCustoms/Duties Import duties, taxes, and charges are not included in the item price or shipping cost. These charges are the buyer's responsibility. Please check with your country's customs office to determine what these additional costs will be prior to bidding or buying. 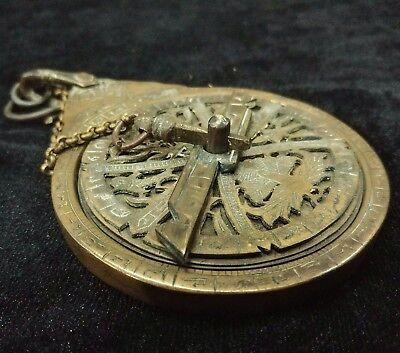 Condition: Carry the greatness of astrolabe in your pocket.Look at photos for details. Popularity - 62 views, 1.0 views per day, 64 days on eBay. High amount of views. 0 sold, 1 available. 62 views, 1.0 views per day, 64 days on eBay. High amount of views. 0 sold, 1 available.